Kitzbühel is the ideal destination for those who want to pamper body, mind and soul. With its pure mountain air, alpine climate and breathtaking scenery, it’s the perfect setting for a healthy and relaxing break. From traditional Alpine wellness to modern beauty treatments, Kitzbühel has it all – combining luxury and relaxation as no other resort can. The town has a wide selection of sports and wellness hotels offering treatments that range from peat baths to sports massage. As well as the beauty parlours, day spas and yoga studios, visitors can enjoy outdoor activities to boost their energy levels. 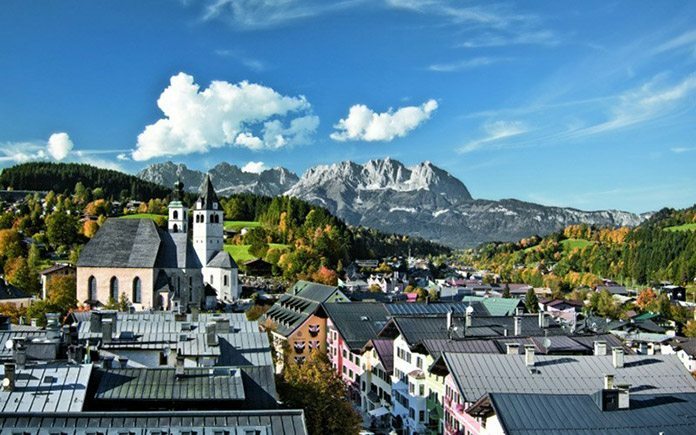 Kitzbühel’s lakes, waterfalls and ‘places of energy’ are also popular destinations for an active yet tranquil getaway. The Alpine wellness philosophy is based on pampering, relaxation and harmony. It seeks to harness the therapeutic benefits of the mountains. Numerous hotels in Kitzbühel offer a mix of healthy eating, fitness, wellness and healing therapies in an Alpine ambience. They focus on the use of traditional, locally grown produce, preserving traditions and customs, and offering treatments based on the local environment. Their aim is to improve quality of life and provide new and different experiences as an escape from the hectic pace of modern life. A varied selection of treatments is available, from herbal steam baths to a biosauna. Local resources are used in the form of Alpine herbal skin care products, wraps made of local peat, organic food and aromatic dishes made with flavoursome Alpine herbs. From fitness to holistic wellbeing, Kitzbühel offers a complete, high-class wellness experience for men and women alike. For maximum indulgence, the town’s modern beauty spas offer a range of innovative treatments. 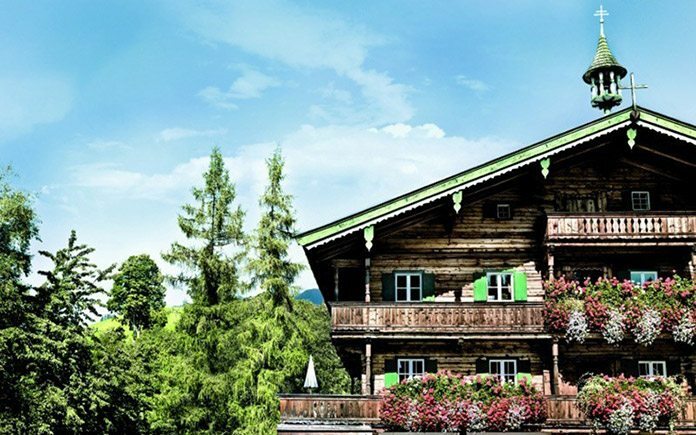 Fans of Oriental massage, modern anti-ageing treatments and beauty ceremonies with exclusive brands will find they lack for nothing in Kitzbühel. And for utter relaxation there are numerous luxurious pool facilities with views of the Tyrolean mountains. Guests at the Kempinksi Hotel Das Tirol can expect a very special spa experience: The stylish wellness area of the five star superior hotel was awarded with the Spa Diamond in the category spa hotel in 2014. Walking is the perfect way to find inner tranquillity and feel energised – especially on Kitzbühel’s green meadows and tranquil grassy slopes. A special energy and attraction is attributed to ‘places of energy’, inspiring locations that can be reached on foot or by bike. In the centre of Kitzbühel is the start of the Kreuzweg or Way of the Cross, which ends at the Einsiedeleikapelle, a chapel endowed in 1735 by local resident Franz Stitz. If you have the energy to follow the route further to Seidlalm, you’ll come across the idyllic mountain lake which lies above the pasture. From the Seidlalm you can look down the valley to the Schwarzsee, the warmest peat lake in the Alps. This is also the start of an ‘energy route’ which leads from the Schwarzsee to the Vogelsberg Weiher and the Gieringer Weiher and back again. One particularly scenic walk leads to the Sintersbacher waterfall, a natural monument in Jochberg, which at 165 m is one of the most imposing waterfalls in the Alps. The natural spectacle is particularly impressive during snowmelt. The peaks around Kitzbühel are especially stunning by moonlight, and once a month, at the full moon, there are guided mountain walks. On the route from Schloss Kaps in Bichln up to the Sonnbergstuben there are breathtaking views of the mountain landscape.